HUGE THANK YOU to our sponsors, donors, docents, volunteers, crafters, homeowners, and guests for a fun and successful 36th Annual HOLIDAY HOME TOUR. 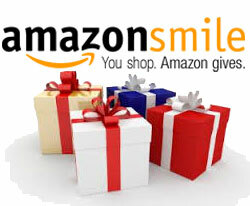 Designate Westchester Mental Health Guild as the charity you support through your Amazon purchases. 0.5% will be donated. Memories from our 2016 Holiday Home Tour! THANK YOU to our homeowners, docents, sponsors, and guests for another fabulous Holiday Home Tour! docents, volunteers and guests who made it possible. Thank you for your support of our Fashion Show on February 12th. Thank you Talbots Manhattan Beach, their staff, the models, and our guests. Our fashion show event was a fun and successful day raising funds for the Airport Marina Counseling Service. Held on the first Sunday of November each year since 1982, the Holiday Home Tour showcases distinctive homes in the Westchester/Playa del Rey area, each decorated in a holiday theme with its décor enhanced by local florists and merchants. Guests are admitted by ticket to all the homes and enjoy a beautiful reception as well as the opportunity to shop at the Holiday Marketplace boutique.at the Elk's Lodge. This tour is the Guild's largest fundraiser each year. Enjoy some PHOTOS from our 2014 event! Enjoy some PHOTOS from our 2013 event!